My name is Justin, just turned 30 in January. 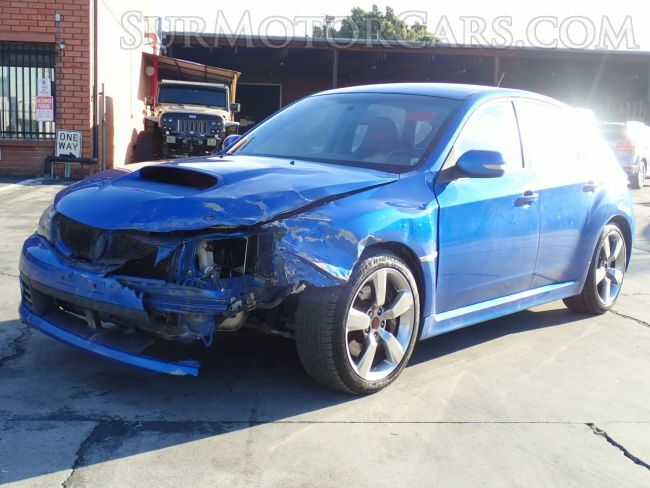 I recently bought a wrecked 2008 STI and I'm going to rebuild it in my driveway and record as much of the process as I can. 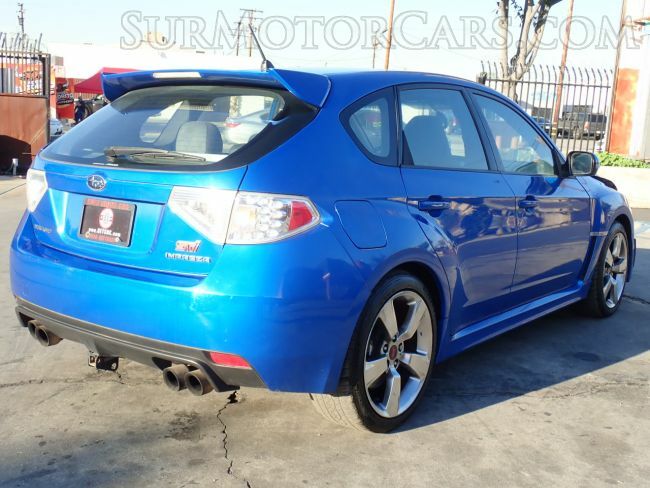 I've always wanted a Subaru ever since I played the game Gran Turismo 3 lol (18 years ago!). Sliding out of control while racing just blew my mind and the World Rally Blue! Then I heard the Subie rumble and it was hooked. My dream car was the 04-05 Blob Eye and I actually hated the new look of the 2008+ WRX/STIs. As I got older it grew on me and I started liking them and started saving up. I've never rebuilt a wrecked car before, but I've built a Long Travel Tacoma by myself or sometimes with help from friends in our driveways. It's pretty much all stock, runs and drives. I found a cob turbo heat shield and it has a Perrin downpipe with a full spt exhaust from the "cat" back. The Damage is Driver fender, hood, bent hood hinges, bumper, core support, crash bar, driver frame horn from about the timing belt forward, driver control arm, headlights, some crash sensors, radiator, a/c condenser bent holds pressure(freon to the face), driver timing cover is broken(pulleys/belts are good), air bags, locked front seat belts, a hand full of random stuff and a couple dents. Rebuild it back to pass DMV then lift it a tiny bit, put some beefy tires on it to hit some fire trails and also daily drive it. I've been working on it on my days off about 4 days including buying tools and spending half a day driving to buy a front clip. It's pretty close to being done now. The only parts I need is Driver lower control arm(ordered), Hood hinges(ordered), front seat belts, airbag control module and a battery. The frame/core support is all tack welded, body panels, headlights are loosely on. You may want to find out if the ecu programming has been modified to support the aftermarket turbo back exhaust. Avoid getting into boost till you know for a fact you have a stage 2 tune. 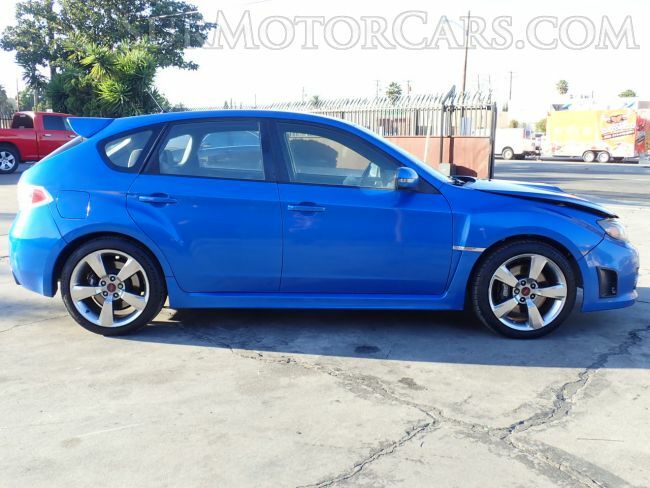 The previous owner may have had an Accessport but may have unmarried it in order to sell it. There are other possibilities in terms of it having been tuned but you’ll want to figure it out. If you hook up an air/fuel gauge you will be able to see if it is on target. You could also log it and see what is going on. I’m subscribing, want to see what you turn up. Thanks for the vid, keep it going man. 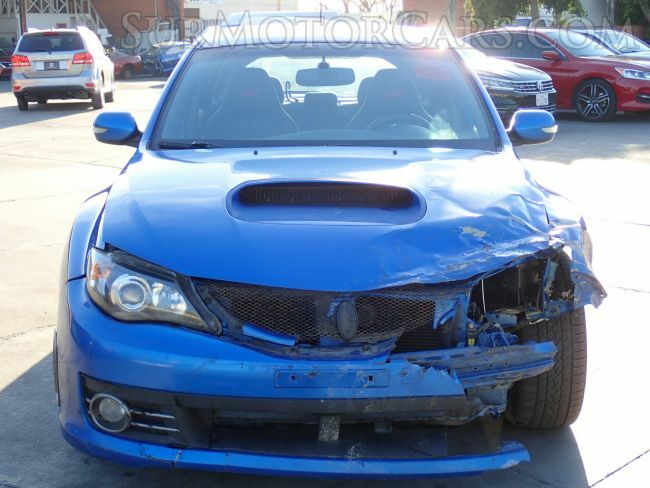 Is it salvage title? I picked up my bugeye wrecked/no start back in 2005 and rebuilt it, nothing better than getting it back on the road and enjoying it. Mine was hit in the front (passenger frame rail), the rear and the timing belt was hit in the accident, so a few bent valves. Your way ahead of the game with a running motor. Gonna check the videos out in a few. Keep up the updates! Subscribing as well. Good luck with your rebuild. And what part Long Beach are you in? Ah yeah sounds good! 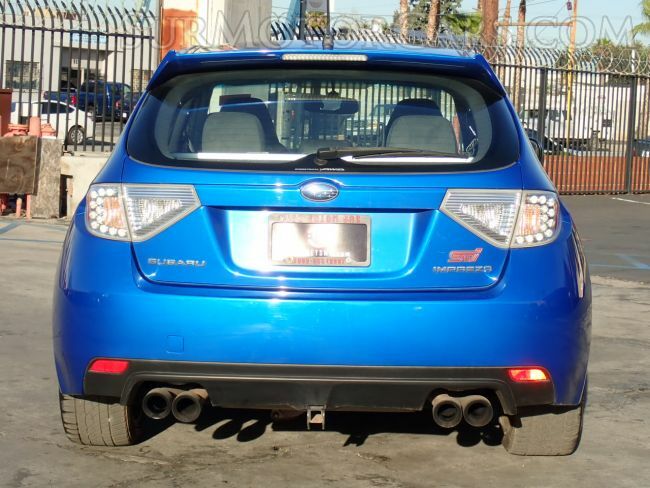 I was thinking of buying the stage 1 kit and downloading the map for the stage 2 since it has a downpipe already, but no cold air intake on it. I'm planning on getting the dash bezel that has 2 empty pods and was going to put a air/fuel gauge in and a boost gauge. Those are the only 2 I have on my other car too. Is there another way to see if the programming has been modified? 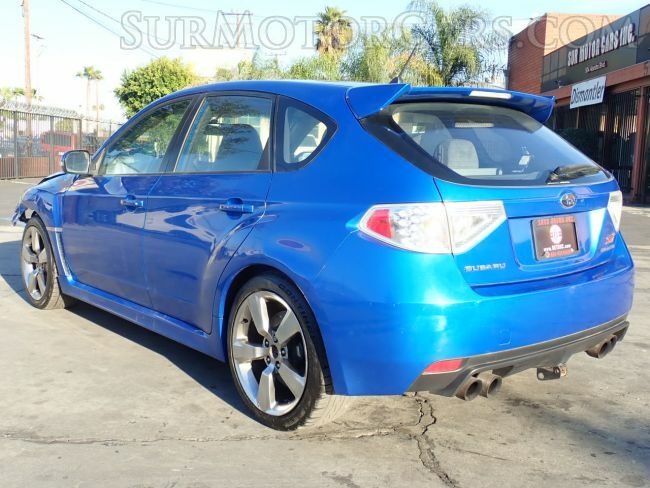 besides buying an accessport? Thanks man! I'm by El Dorado park, but I'm working on the car at my dad's house in Torrance. 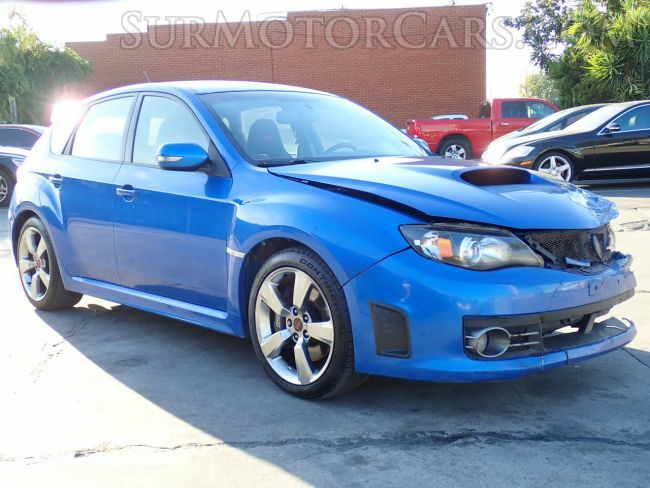 Yeah the salvage title doesn't bother me any, and all the money I saved was able to be put into more upgrades/projects. Fresh timing belt too, your set. It's funny you said that you didn't like the 2008+, but then it grew on you as time went by. Same thing happened to me. Couldn't stand them at first and now I really enjoy them. The other way to check for a tune is to use ecuflash and a tactrix cable check out the rom file/image. Only thing you need to buy is a tactrix cable to communicate with the obd-2. Cheaper than Cobb but more hands on. With the tactrix cable you can tune it yourself with the free ecuflash/romraider software if that's up your alley. The easiest way would be to reach out to you nearest tuner shop and they can figure it out rather easy. The aftermarket down pipe puts you at stage 2, it must have or must have had a stage 2 tune already. Being that there is a Cobb heat shield, I would say there is a high probability that this car had a Cobb accessport running a stage 2 tune. Which leans to there being a high probability that the prior owner unmarried the cobb accessport and sold it after the accident if you haven't found an accessport in the car. Leaving the car with its stock tune. Did you check the glove box and under the seats for an accessport? Just incase, who knows lol. D-Rodman is right on, the easiest way to check the map/rom to see if the car has a tune would be a shop that tunes subarus ($$$). Or if your more diy oreinted the tactrix cable and romraider forums (help/information/free software) would be all you need to check to see what the car has (stock tune or custom tune). If you also picked up a wideband a/f ratio gauge (smart to have wideband in any turbo Subaru anyway) you would have everything needed to tune it yourself. Stage 2 is one of the easiest tunes to do, fyi. You haven't changed the injectors, intake or turbo and that keeps the tuning process very straight forward. The often overlooked aspect of tuning it yourself is, you know what healthy looks like on the a/f ratio gauge (and feels like...) so if anything is off you are probably 1000 times more likely to catch it and let off the throttle or stop going wide open throttle again before it turns into a larger problem. And sometimes it's nice to be able to touch up or adjust the tune for the seasons, because basically if the weather in your area changes a lot with the seasons the density of your air can change a lot with it. Which can lead to leaner or richer situations at wide open throttle. No problem at all if you can adjust it quick yourself. If you unmarry it, it will go back to the stock tune? Yeah I looked all over the car before tearing into it. Only thing I found was the lug nut lock key (which I was pretty happy about lol). I'd love to try that tactrix out, but for now I'd just like to get it legalish and driveable. I'll probably call a local tuning shop and see what I need to do. If the previous owner unmarried the accessport then it reverts it to the stock map. It is not a good idea to go into boost on the stock map with the aftermarket down pipe. The stock map will not be able to self adjust under load to proper air/fuel ratios. It will probably have knock witch is an engine enemy. Your 2.5l engine pistons are known for ringland failure. Detonation is the killer, stay off boost and only use the highest grade fuel you can find. The tuning shop can plug an accessport to your car and figure out if it already has an accessport married to it. Or they can log it on romrider and see if it is running healthy or knocking. D-Rodman's advice is right on the money. Ah got it. I think I might try and get an access port. Before you buy an accessport make sure there isn’t one already married to your ecu, it won’t flash unless you are on the stock map. I wish my car was stock lmao... I guess I need to go to a shop to see if there's a tune on it already? If you plan on getting an accessport anyway I don't think it will make a difference. Get the accessport and see if its stock. If it's not and won't flash because of a previous married accessport, just take it in to a shop for help. I'm betting it's already unmarried and your good to go. The previous owner probably came to collect their stuff out of the wrecked car and un married it, to sell the access port and re coup some $. Bottom line: if you buy an accessport and it won't flash then you just have to bring it to a shop to have them straighten it out. No big deal bro! And your going to like that it's not stock after this is all finished. Stage 2 is a pretty big power upgrade from stock! 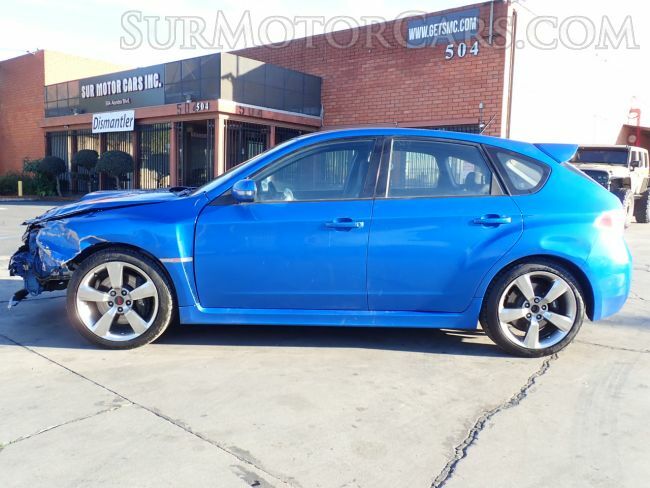 You definitely don’t want it stock, stage 2 is a good improvement in driveability. You can find a v3 accessport for you ride second hand here, they pop up for sale all the time. Ah yeah that's true. I was thinking about this earlier. If I buy an access port and it doesn't work I need to go to a shop. If I don't buy one I still need to go to a shop lol. I mean if given the chance I would unmarry my access port to resell it as unmarried. True true. I've been researching and people say they are just happy with a stage 1 tune and happier when they finally get to stage 2. I don't want to get in to much debt, but I did find a used one here. I'm going to purchase paint(already ordered) and paint prep stuff tomorrow and pick it all up. Still have to make my makeshift paint booth too. updated it and downloaded a stage 2 tune. Stoked for you dude, awesome. Once you start driving the car log it and make sure there is no knock. I got a temporary driving permit and got the smog, brake & lamp inspections done! So I threw on the accessport and it said there was a tune on it already. I erased it and loaded the stage 2 tune on. I did a little test drive around the block and at around 4,000 rpms it sputters, hesitates and misfires. I started taking apart the TMIC to look for boost leaks and found a Blouch turbo. It's a cast aluminium one. Looks like this one. Not sure if it's exact. I called a few tuners and will be getting it tuned in the near future when I have time. Kind of a bummer I finished everything and can't play with it. The brake and lamp guy also said that's at least a stage 2 clutch. I stalled this thing over 5 times in the last week, in the last 2 years I stalled 240sx maybe once. It's all engaged or disengaged it's really hard to slip. It takes over 80lbs pushing with my foot just to get the clutch the same level as the brake pedal. (Yes I took a bathroom scale and pressed it against the clutch. lol) It takes even more pressure where the clutch starts disengaging. I'm not sure if I can daily it like this in California traffic. As for power I don't really care about power like young me. I would of been happy with a stock everything besides maybe just an accessport stock flash. Any recommendations on a daily driver clutch with the blouch turbo? Thanks! I really want to post a picture of it all done, but I don't want to spoil it. I'm lagging on editing all the time lapse.